Experiencing back issues while working on Aerial Access Equipment and its affecting your companys insurance premiums, ask your employer to look into the Aerial Tool Bin to minimize bending over all day long..! Also – Follow these 21 steps to help lower your insurance premiums. At first some of these methods may seem simple but as with anything worth doing, the power is putting them into action! Not Sure What the Term Mod Rate Means? One of the most important decisions a company makes in reducing their workers’ compensation insurance is selecting their insurance broker. Select a broker who will partner with you and is appropriate for your organization size. dim lighting or poor air quality. Make sure that the company’s facilities are regularly maintained and that repairs are performed efficiently. Assign someone in your company to manage your workers’ compensation claims. This person should have some familiarity with workers’ compensation and safety, because the two go hand-in-hand. Check in with employees to make sure that they’re receiving the care that they need. Help workers get access to care providers, and set up programs to help them recover. pain or injuries; this can help prevent future claims. Always check a job candidate’s background before hiring, and require prospective employees to complete a detailed application form. Choose a Qualified and Appropriate Medical Care Provider. If permitted by law in your state, this tactic can help lower medical costs for your company. Your insurance carrier can provide you with a directory of preferred medical providers located near your business. recover from, the problem might be due in part to the health care provider. Pass out evaluation materials to your injured employees to help gauge whether they’re receiving the right care and to learn what else the company can do for them. Bring up your concerns with your insurance carrier or the health care provider to make sure that any issues are addressed. Create a modified-duty or transition-to-work program. providing better productivity for your business. Helping injured employees make a speedy recovery and return to work by keeping in close contact with them. Make sure that the cause of their injury has been addressed and that they can feel safe returning to work. Provide employees with opportunities to begin working on a modified schedule as they transition back to their regular duties. Well, that’s probably enough information for one day! Tomorrow you will receive an email with the next 7 ways to lower your compensation costs. If you are in a hurry to learn more, you can sign up for our free 41 point evaluation of your workers’ comp policy to see if we can find common but relatively unknown overcharges by your insurance carrier and help you to get it refunded back or feel free to contact me by email or phone below. report injuries, and keep detailed records of all accidents. site safer and reduce your workers’ comp premium. Promote shop and workplace safety. work practices without fear of reprisal. Be accessible to employees. Teach employees about the dangers of the equipment that they use. injuries, and following procedures in case of accident or injury. health hazards of materials they work with, and how to protect themselves. employees should know exactly what to do in the event of an emergency. not, bring the ergonomist back for a follow-up evaluation. Know your experience modification rate. * Compares your losses to the average risk of similar businesses. * Is usually computed from the latest available data from the last three years. * Is designed to give you some influence on your final premium. * Provides incentives for safety programs. * Promotes occupational health and safety. As you can see, there is a lot to learn about lowering your workers’ compensation rates. you need our help, you can respond to me by replying to this email or you can call me at (877) 506-2220.
great ways to lower your rates! office of employment for your state’s guidelines. find out if you can use this money saver. Consider Self-Insurance as an Option. want to look into the option of self-insuring. Although most claims are legitimate, too many are inflated or fraudulent. * The injured employee is disgruntled or facing imminent firing or layoff. * The injured employee has a history of reporting subjective injuries. * Fellow workers hear rumors that the accident was not legitimate. * The accident occurs shortly after the employee reports to work on Monday. 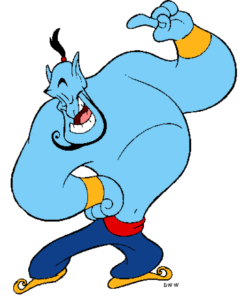 * The incident is not promptly reported to the supervisor. * The details of the accident are unusually vague. review your policy and each of your employees on the basis of the job they perform. be sure that everyone is assigned to the correct category. the same class as a security guard. categorize the various jobs at that site. Often, the unintentional result is the misclassification of employees. as well as save you a lot of money in future premiums. You should have all the tools you need to begin lowering your rates today. Effects outside of discounting your premium. Many safety conscious corporations are refusing to use the service of venders or subcontractors who do not control their Experience Mod or have an experience modification in excess of the industry average. Most companies who’s annual premium is in excess of $3,000 will receive an Experience Modification Rate. Your Experience Mod is calculated by the National Council on Compensation Insurance (NCCI) or in some states an independent agency. Each year insurance carriers report to the calculating agency your class codes, payrolls and losses for the last five years, for cost reductions. Remember this year’s claims will affect your Experience Mod next year. Example of how using the Aerial Tool Bin can help lower your Experience Modification Rate. Keep your companies injury rate down working safer with the Aerial Tool Bin. Therefore, 11 workers x an $80 Aerial Tool Bin = $880 to save $13,200! Note! 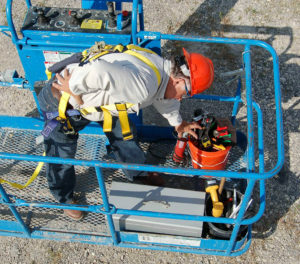 By using the Aerial Tool Bin employees who work on aerial access equipment can save a minimum of 1/2 hour a day while minimizing back stress and ankle injuries. At the same time, helping to lower insurance premiums.